Outwater stocks our industrial caster wheels in both New Jersey and Arizona in order to make shipping and delivery faster and more cost effective for our customers. 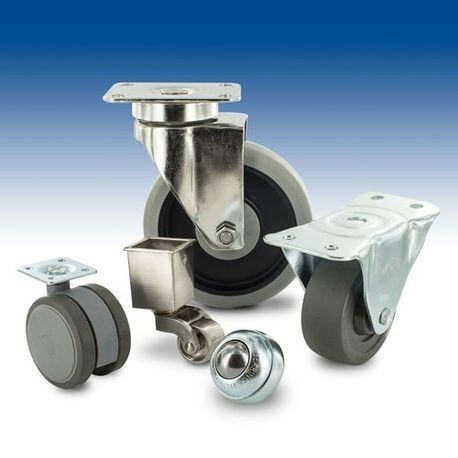 Many of the industrial casters have brake options available and are stocked with a range of top fixings such as a friction ring stem, straight stem, top plate mounting and threaded stems. If you cannot find the caster that meets your needs, contact our knowledgeable sales department for information on other caster options. Outwater stocks this collection of caster wheels in New Jersey and Arizona facilities which helps us to expedite shipping and lower delivery costs for all customers. Outwater offers several different mounting heights for these stylish and functional institutional medical equipment casters. If you can’t find the caster to meet your needs, please contact our knowledgeable sales department for information on other caster options. 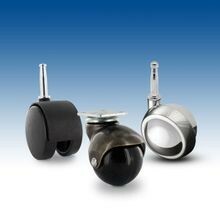 Outwater stocks this collection of expanding rubber stem casters in New Jersey and Arizona facilities which helps us to expedite shipping and lower delivery costs for all customers. 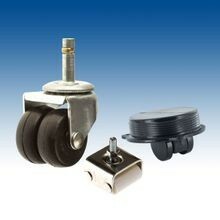 Outwater offers several different mounting heights for these specialty casters. If you can’t find the caster to meet your needs, please contact our knowledgeable sales department for information on other caster options. 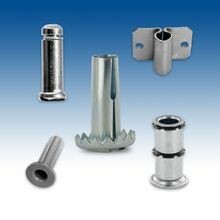 The caster sockets are available in metal and plastic and are designed for tubular applications. 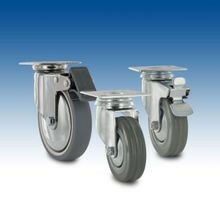 Casters can be securely inserted into the sockets for a permanent hold, and the caster sockets work with both friction ring and gripneck stems. Our spring steel gripneck stems were designed for wood applications and can be installed on wooden surfaces and particle board. These steel grip neck stems can be quickly installed with no problem. The steel brackets that Outwater carries are available in 90 degree and 180 degree varieties and are easily welded onto channels, angles, or iron legs. Outwater stocks all casters and caster accessories in our New Jersey and Arizona facilities to provide faster and more cost-effective shipping and delivery for all customers. If you cannot find the caster that fits your needs, please contact our knowledgeable sales department for information on other caster and caster swivel lock options. 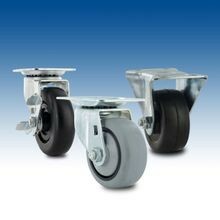 Outwater stocks this collection of casters and its accessories in Arizona and New Jersey in order to provide faster and more cost-effective shipping and delivery for our customers. If you cannot find the caster that meets your needs, contact our knowledgeable sales department for information on other caster options.